I can create napkin rings from your favorite colors and add a specific initial to make it really personal. 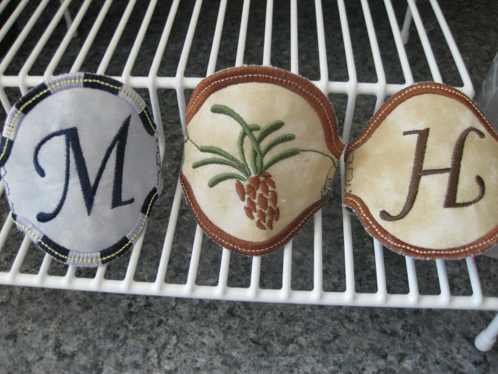 Here are two initialed napkin rings and one featuring a Pine Cone design. These feature a velcro closure on the back side. These sell for $3.95 each.